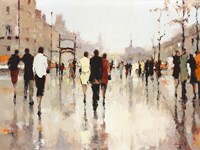 Lorraine Christie (Born 1967) is an artist who was born in Belfast, Northern Ireland but currently lives in the US, having resided in Roswell, Georgia, for more than fifteen years now. Her remarkable Impressionistic style made her an internationally acclaimed artist. She has developed her own unique color and texture that easily captivate viewers. 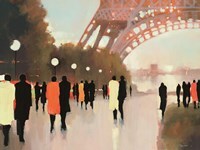 Lorraine draws inspiration from distinguished masters such as Cezanne and Singer-Sargent. Lorraine loves to explore relationships between people. 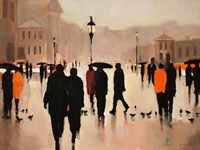 Her work portrays a subtle poignancy that evokes deep emotions and emanates mystery. 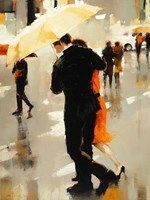 She uses her paintings to expresses her perspective on love and romance. She has traveled extensively throughout Europe, and her traveling experiences had a strong influence on her paintings. Her friends and acquaintances describe her as a woman who’s as mysterious as her work. 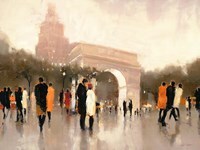 At times, Lorraine creatively incorporates notable sceneries such as classical architecture into her work. She started a successful career in her native country, and soon after attained worldwide acclaim. 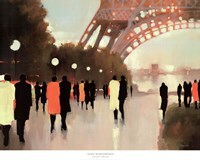 Since the time she resided in the United States, Lorraine has held many high-class exhibitions. She had various elite exhibitions in Ireland, such as in the Belfast Castle, and has received much praise for her still-life paintings embodied in luscious oils. Some of her most popular paintings are showcased as permanent collection in the Ulster Museum. She frequently held shows in London’s prestigious galleries, and Prince Charles even praised her work at the competitive Discerning Eye exhibition. The body of Lorraine’s work is successfully represented in Atlanta by Huff-Harrington. 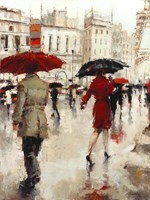 Several popular sports celebrities have bought her paintings.